I was once pretty optimistic about the future, but in recent years my outlook has grown progressively more dismal. Humanity has continued to ravage the planet while conveniently ignoring the fact that perpetual growth is impossible, and the result will be a future more nightmarish than a thousand blackened sludge bands could ever conjure. Of course, that doesn’t stop them from trying, and few succeed at evoking these apocalyptic images as well as Abstracter. Formed in 2010, this California quartet released a decent enough debut in 2012 but really blew me away with 2015’s Wound Empire, a record that earned a well-deserved spot on my Top 10 list that year. Perhaps best described as ‘blackened post-metal,’ Empire’s smoggy riffs and riveting buildups provided more than downcast resignation, they provided great songs, and that’s a trait I hoped third full-length Cinereous Incarnate would carry forward. Cinereous means “ashy grey,” which actually would have been the perfect way to describe Wound Empire. Yet Cinereous Incarnate is a far different beast than its predecessor. The mechanical, blackened Neurosis feel of Empire has been largely abandoned, replaced by a sound better described as blackened doom metal. Imagine Desolate Shrine but more harrowing, or Downfall of Gaia if their namesake came true. Only you don’t have to imagine it, because opener “Nether” pulls you right into that horrifying reality. Right from the start, the guitars are thick and smothering, suffocating like a dense cloud of smog that will leave generations of asthma victims in its wake. Likewise, Mattia Alagna’s subterranean roars make him sound less like a human and more like a kaiju-sized version of one of those monsters from The Descent. It’s frightening stuff, and the band even introduce a militant riff a few minutes in that inspires some early headbanging amidst all the horror. Unfortunately, once you’ve heard “Nether,” you’ve pretty much-heard everything Cinereous has to offer. The four main tracks here are essentially constructed from the same three building blocks: blasty portions with thick black metal riffs, doomy portions with eerie clean picking, and sludgy portions with chunky lurching. 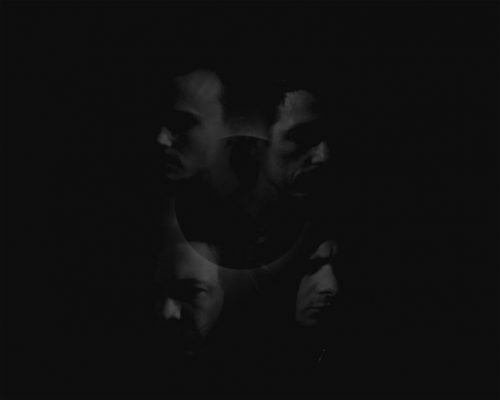 Sure, there are exceptions – “Ashen Reign” opens with a few minutes of surging post-metal chords, for example – but for the most part these songs arbitrarily shift between these building blocks with no regard for creating climaxes or building tension. Part of it may be the drumming – while newcomer Adam Gambel does a fine job managing the different tempos, he’s no match for Emad Dajani’s fluid yet tight performance on Empire, which contributed almost as much as the guitars in making the buildups on that album some of the most powerful I heard that year. And speaking of guitars, if you’re in the market for distinct riffs or melodies, you best look elsewhere. Sure, the sooty guitar tone offers welcome texture, but texture is all it is, as moments like the distinct ghoulish progression at the beginning of closer “Devouring Night” prove the exception rather than the rule. Even Alagna’s vocal performance, while admittedly sounding quite bestial, is far less gripping and passionate than his past work. Likewise, alongside the four main tracks are two brief ambient interludes whose only purpose seems to be bumping up the average DR. Fortunately the production suits the album well, generating a dreary atmosphere while keeping the guitars and drums relatively crisp. In fairness, Cinereous isn’t that bad. Any one of these songs would make for a solid blackened doom track, but the problem arises when none of them add any new elements to the table. The lack of melodies or notable buildups is also disappointing, especially when Abstracter employed them so well in the past. In retrospect, it strikes me as ironic that a band with such a seemingly pessimistic world outlook produced one of the most promising albums I’ve heard in recent years, and that makes Cinereous’s mediocrity that much harder to swallow. 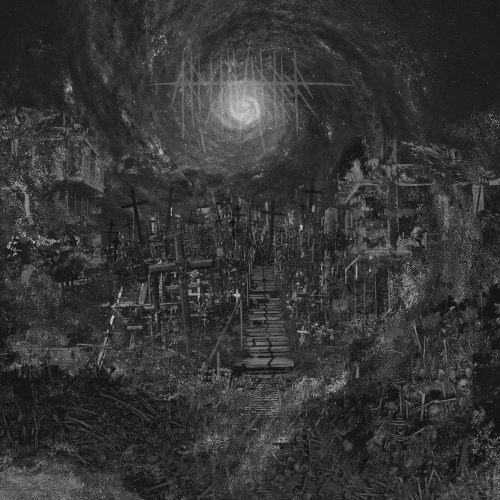 I suppose those looking for a blackened Primitive Man or anyone tired of waiting for the new Dragged Into Sunlight album may find more to like; but for a once rabid fan, it seems the quality of Abstracter’s music is becoming just as disheartening as the state of our world.